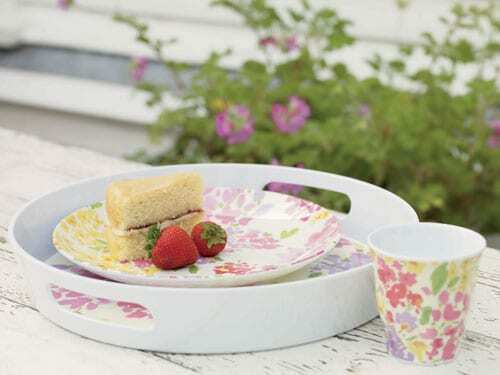 I’m hoping today’s blog post featuring Laura Ashley‘s new floral-inspired ‘Darling Buds’ collection for Spring/Summer 2012 will brighten up your Monday? You may remember that I featured some of the products last November in a blog post after I visited their Press Show? Well, I’m delighted to say that this beautiful range which includes accessories, picnic ware, wallpaper, fabrics and bed linen is now starting to become available in their shops and online. 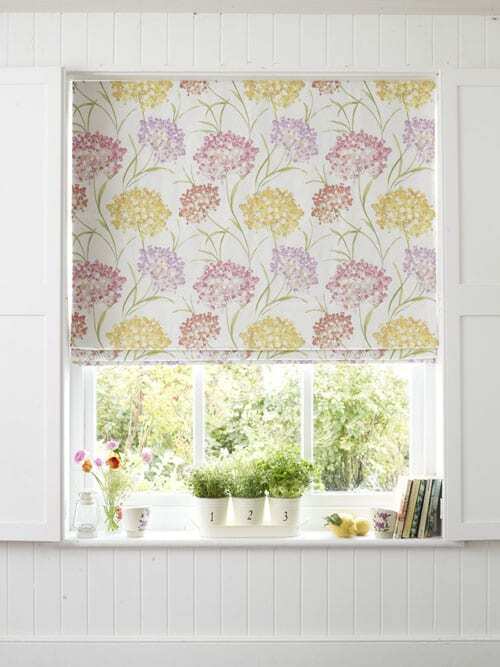 Within the ‘Darling Buds’ collection, there are three different geranium-inspired designs – Amelie, Giselle and Etta. And I adore the fresh and uplifting colour combination they’ve chosen of purple, orange, yellow and pink tones. 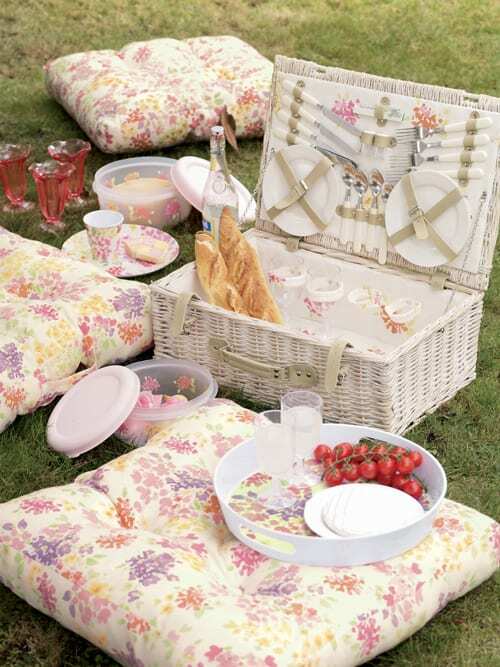 Below from the range are their Amelie Outdoor Floor Cushion, Amelie Picnic Bag, Amelie Set of 3 Boxes, Amelie Office Fan File, Amelie Glasses and Amelie Geranium Wallpaper. 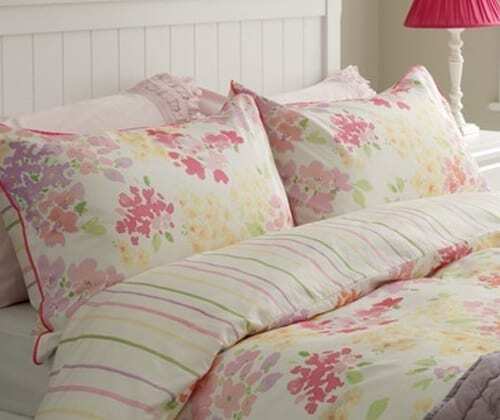 I love the Amelie bed linen below with bright florals on one side and colourful stripes on the reverse. In the Giselle design is this pretty cushion and if you scroll down, you’ll see a blind and curtains made in the same floral design. 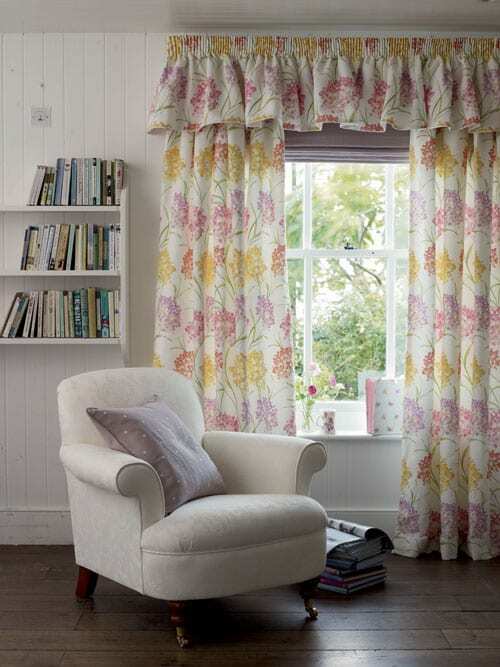 I hope you’ve enjoyed seeing this gorgeous new floral-inspired range from Laura Ashley. I’ve got my eye on the vintage-style floral glasses! Is there anything in particular that catches your eye? 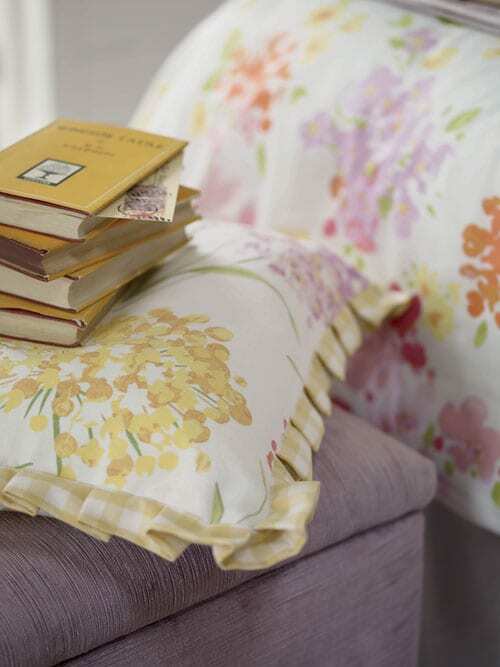 If you’d like to keep up-to-date with Laura Ashley’s news, they have a lovely blog and are on Twitter. You’re very welcome Liezl :-).